Laura Basu is a research fellow in the department of media and communications, Goldsmiths, University of London and at the Institute for Cultural Inquiry, Utrecht University, the Netherlands. She is the author of Media Amnesia: Rewriting the Economic Crisis (2018). Steve Schifferes was the Marjorie Deane Professor of Financial Journalism at City, University of London from 2009 to 2017, where he directed a new MA in Financial Journalism. 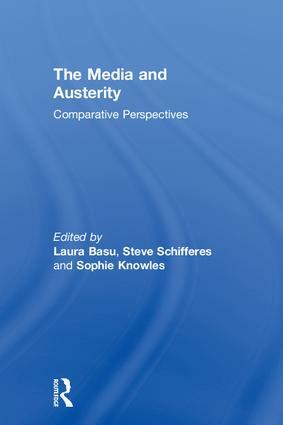 He is the co-editor of The Media and Financial Crises: Comparative and Historical Perspectives (2014). As a BBC economics journalist for 20 years, he covered many financial and economic crises around the world. Sophie Knowles is a senior lecturer and programme leader in Journalism at Middlesex University, UK. She has been a researcher at Murdoch University, Australia; City, University of London, UK; and the University of Cambridge, UK. She has written on the reporting of financial crises in financial news and has published work in journals such as Journalism Studies.